So, let me get this straight. You are a solo traveler and you are female. I know, right? Being a female is awesome but it at times, it comes with a few restrictions. Keeping all those weird societal stereotypes into consideration, we will be talking about 5 of the best US cities that you should consider visiting this summer, 2018 as a solo female traveler. Traveling is awesome and you as a solo traveler know that traveling alone sometimes get more exciting than being in a group. However, traveling alone is not always safe, especially when you are a female. It’s an unfortunate but true fact. And that’s why it is one of the factors that we kept in consideration while doing research for this article. We wanted to make sure that you get the best options in front of you this summer. Keeping all that in mind, here’s our list of 5 US states to visit this Summer. Let’s get started. 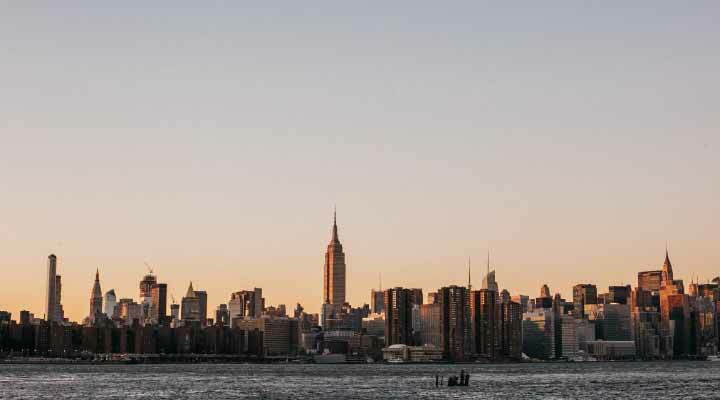 New York City – beautiful skyline but not on our list, unfortunately. The subway is not very pleasant during Summer. North Western cities have always been known as great options when it comes to spending a quality summer vacation. That’s exactly what Portland and the surroundings offer. Whether it is enjoying a lazy day in a farmer’s market or it is drinking some cool drinks in a bar at Oregon, the place has it all. Where the state Oregon is beautiful and a great pick for your summer trip, we would definitely emphasize on visiting Portland as we think this will offer you the best return for the money and time you will spend. Whether it is enjoying fresh berries or salmon from the sea, whether it is natural coffee or microbrews, you get it all in Oregon and they all come at great price. Hostels are easy to get if you book early enough and it is even better if you are into cycling. Nobody can beat the experience of Seattle in summer. The city is always beautiful but it becomes even more delightful in summer. If you are looking for sun then Seattle is your best bet. The place has great sun lights all year round but it gets really warm in the summer. If you are an outdoorsy person then this is probably your best bet. Whether you like hanging out by the beach or enjoying seafood, Seattle will please you. The best part about Seattle is the great combination of sea and mountains. That just adds up to enhance your experience. If you’re a Starbucks fan, don’t forget to visit the first Starbucks store at Pike Place Market in downtown Seattle. I know what you are thinking. I am a solo traveler but I want more than just lobsters. Well, hold your nerve because you are going to get exactly that. Every year, the majority of Boston lobsters are caught between late June and late December. That’s right, the Lobster season begins in Summer. Boston is the gateway to the New England states of United States. The city has a unique attitude and brilliant atmosphere throughout the city in Summer. Though we said that you should not think about lobsters but it is true that if you are into food, Boston is definitely going to attract you. Food is one of the key selling points here and people love eating in Boston. However, there are a lot more than just eating that you can do here in summer. You will enjoy having leisure times around the city in cafes and bars. Some do kayaking and swimming to get rid of all the anxiety and workloads that you had to face throughout the year. If you are in Boston, don’t forget to go to the cobblestoned street to see the old port. Thousands of visitors come here every year to see this beautiful architecture. Antiquated streets and ports… don’t they remind you of the Boston Tea Party? Unfortunately, the dock where it happened no longer exists, but you can find a historical marker commemorating it on the corner of Congress and Purchase streets. And no, we did not forget to talk about the nightlife of Boston. Boston probably has one of the best nightlife experiences in the United States. It is clean, it is fun and you will never feel threatened as a solo traveler while you are here. On top of all these, you will probably also make a few great friends as Boston is a very friendly city. You will meet other travelers who have come here and you will also meet amazing local people. All in all, it is a crazy experience that you should not miss. Did we mention that Boston has great lobsters? San Diego has been chosen as one of the best locations to travel in Summer multiple times by independent organizations. Well, it’s only reasonable because it actually is extremely beautiful. Enjoy miles of white-sand beaches and amazing weather in Summertime San Diego. Don’t miss the famous Sea World and San Diego Zoo. The zoo is known as one of the best ones in the United States because of the collection and the variety that it has. The Sea World is world class and so is the Lego land if you are into Legos. We will end it with Denver. I know you are already thinking about a blue and clear sky when you read Denver. That’s how Denver actually is. The great outdoor lifestyle and the summer festival actually represents Denver and makes it different to explore this place than everywhere else. You should definitely go to the Chalk Art Festival which is the biggest chalk art show on earth. Fortunately, this happens every summer and you will have the opportunity to also enjoy western buffalo songs, music & mountain biking. Most travelers who come to Denver never feel like leaving because they are afraid to go back to their city life that’s boring and cold (hello, Midwest). That’s a risk that you need to definitely think about before you choose Denver as your next city of destination. Denver is very welcoming and like some other states, people from Denver are very friendly. It will not take you more than a few minutes to make friends who will stay with you for life. What else do you want from a solo trip? What do you think? Which US cities do you plan to visit this Summer? Share with your fellow travelers in the comment sections.